Somehow, September is upon us already and it’s time to think about healthy lunchboxes for our little ones. Caitlyn loves the sea and all things Piratey, so I decided to plan a Pirate Themed Lunch Box for her. Apologies for the blurred Izzy in this image-she must have been moving quickly! We popped to Tesco to pick up everything we would need for this packed lunch. 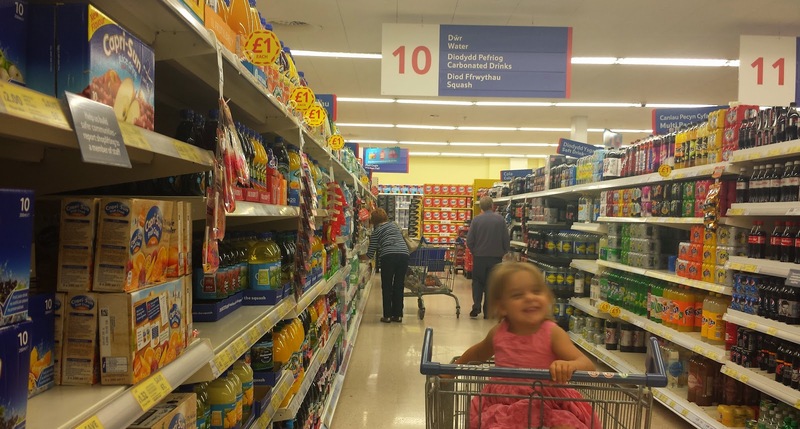 In the Water Aisle, we found the perfect drink for little pirates: Capri-Sun Fruit Crush. I thought that the Tropical flavour would remind my little pirate of voyages to tropical desert islands! Capri-Sun Fruit Crush was also a great choice of lunchbox drink as it is made of 75% fruit juice and 25% water. I was also pleased to read that Capri-Sun Fruit Crush is 100% compliant with the School Food standards and that every pouch of Capri-Sun Fruit Crush provides 1 of your 5 a day. We also bought the Apple & Pear flavour and will try Apple & Blackcurrant on our next shop. It is currently on promotion at Tesco so I will stock up while it lasts! Caitlyn has already chosen a Pirate Themed School Bag and water bottle – Jake and the Neverland Pirates! She is a huge fan. We started with some Fishy Shaped Sandwiches to provide carbohydrate for energy. Choose your child’s favourite bread and filling and just cut the sandwich into fishy shapes. Next we have Parrot Pepper Salad. Disclosure: Parrot Pepper Salad does not contain any feathered friends- we just think the colours are very parrot inspired! We have a Loot Bag of Grapes. Caitlyn did suggest that a loot bag of chocolate coins would be an appropriate treat one day for a picnic! Any small fruit can be placed in a loot bag. A Treasure Chest of Raisins within a treasure chest always provides a healthy dried fruit gem. Crackers and cheese can also be made into Cheesy Treasure Chests and provide protein. We also added an easy peeler satsuma (prevents pirates getting scurvy while out at sea!) and a home made Apple Juice Pirate Biscuit. 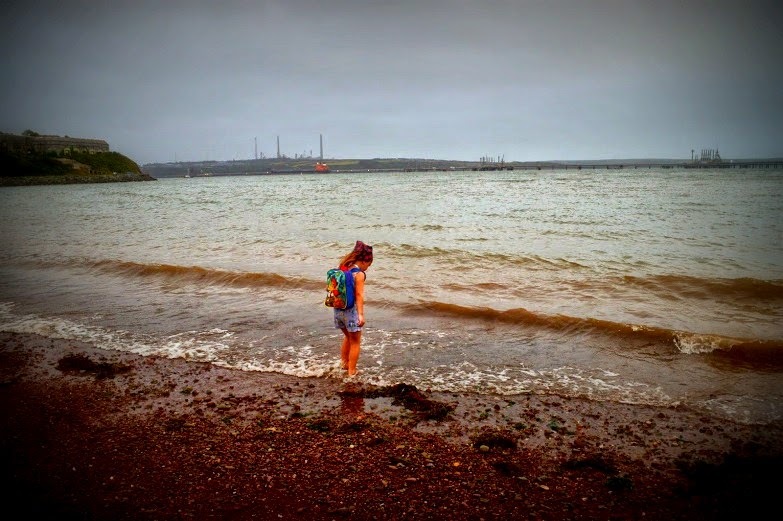 As we don’t start school until later this week Caitlyn got to try out her Pirate Lunch Box by the sea. We found the sandwiches went down a lot easier when shaped and with no crusts. My hungry horace son on the other hand likes his sandwiches the bigger the better and with crusts, so make yours to suit your own child’s appetite. She has asked to have a treasure chest with yogurt and raisins instead of just raisins so that will provide some extra dairy. We both agreed that there are more fruit and vegetables than she needs at lunchtime but this is good as it means she has something healthy left to snack on during the walk home. She loved her Fruit Crush (and I enjoyed mine too). Whatever homemade snack is going into the lunchbox that week (like the Apple Juice Pirate Cookies), I make the weekend before and store in an airtight tin. I also make my lunchboxes the night before as I’m not a morning person! We also vary the fruit and vegetables in our packed lunches over the week so the kids can also expect to see: strawberries, blueberries, apples, cucumber, carrot, cherry tomatoes and red cabbage etc. Variety is the spice of life! Good luck to everyone going back to school, hope they all enjoy their tasty, healthy lunchboxes! 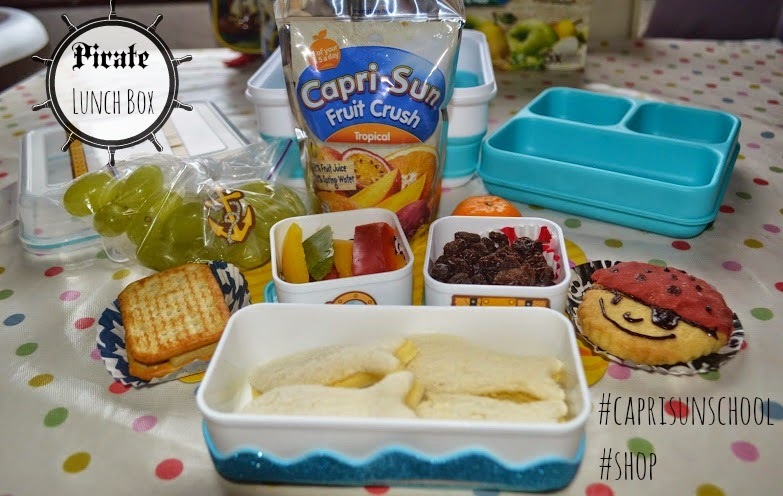 You can find more lunchbox ideas at Capri-Sun Mums Zone and follow the hashtags #CapriSunSchool #CollectiveBias #shop .